Interoperability : noun : A characteristic of a product or system, whose interfaces are completely understood, to work with other products or systems, at present or in the future, in either implementation or access, without any restrictions. Do you want easy provisioning of all your favourite SIP devices? Vodia Works with… insert your favourite phone brand here. Multi-platform : adjective : compatible with or involving more than one type of computer or operating system. Respect : noun : Due regard for the feelings, wishes, or rights of others. If you’re tired being mistreated by your existing PBX supplier, and want a vendor that treats you with respect, talk to us about Vodia. Consistency : noun : The quality of always behaving in the same way. It's hard to do business when the rules keep changing. VoIP resellers need constancy and reliability, and don’t need surprises. SnapperNet and Vodia understand that. Muli-tenant : adjective : Software architecture in which a single instance of software runs on a server and serves multiple tenants. Yes, you can manage several organizations through a single instance of the Vodia software. MSP : (Managed Service Provider) A company that delivers and manages network-based services, applications, and equipment for a monthly fee. Want to bill your customers monthly and not have to pay for a one year termed license up front? Easy. Ask us how. verb : make available for a particular purpose. Transfer : verb : move from one place to another. make over the possession of to another. 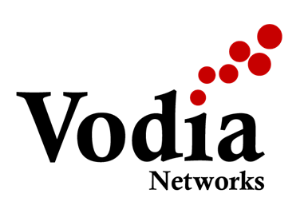 Easily transfer your existing 3CX config to a Vodia PBX instance: Ask us how.